You aren't suppose to show it. MF64, your coin text is not huge enough. LakituGamer missed it. Err...what do you mean with this? Is everyone getting mad at me just because I spoilered this...thing? Nah, you just missed the meaning of 'secret for everyone'. My freerun is 100% completed, I guess that I'm fully-prepared for the playthrough. A Nintendo-quality work...I've to admit. I wish you good luck on your next projects and I hope that your next hack (Hack n°4 for precision) will come out like this...with good level design and scheduled. fail, I mistook new.nsmbhd.net for my local dev test board and didn't notice. Well done with the making (and the hiding) of the reference. Though I expected a cameo of the magician (?) 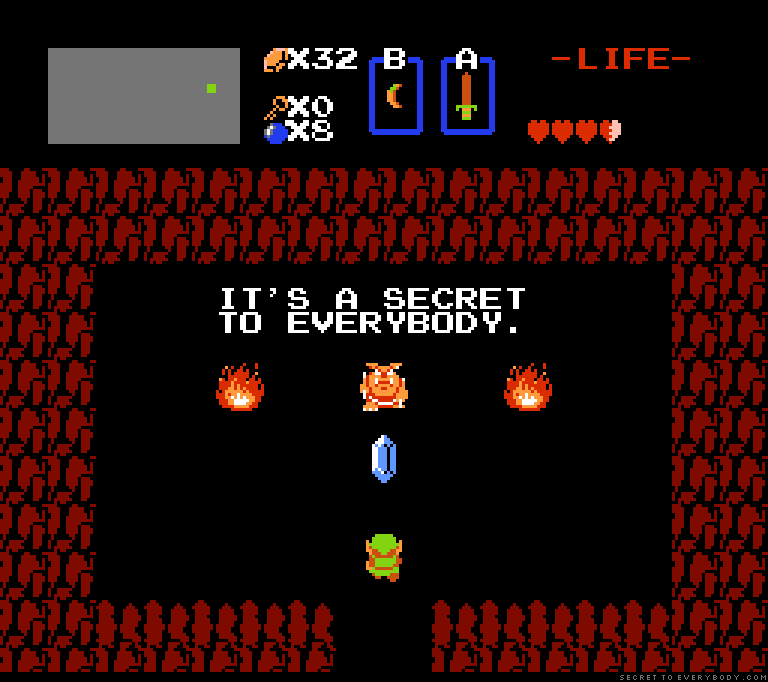 and the cave tileset ripped The Legend of Zelda but if you would do that the hack would have been less-platformy, amirite? It looks pretty bland, isn't it? I was going to line this announcement up with the 1,000th download for Clone Tag Team 2, but for the first time the weekly downloads did not meet the average rate of 250 downloads, so screw that, time for some juicy details about Hack #4. First of all, Hack #4 is a remake. I thought I'd get that piece of info out of the way so you guys aren't disappointed when the full reveal comes. I can't tell you what it is a remake of, but I think it's safe to say that nobody's tried remaking this particular game in NSMB before. This may or may not be a remake of more than one game. Granted, the 'game' I'm remaking is a little short on content, so I've expanded it accordingly. This is going to be a full 80 level hack, so there will be a fair share of original content. What I will tell you is that the Fire Flower and all other items besides the Mushroom will only be obtainable in Item Houses and not in the levels. I don't want to disappoint you if I'm behind deadline like I usually am, so I'm just gonna say that it'll be here in 2015, but it's very possible it will be finished before the end of the year. For the record, the first 4 Worlds are already complete! Once again I don't have anything to show you just yet or else I would have made a new thread. I want to make sure I have enough content to show before making a trailer. I'm currently working on World 5. I've had several theories from users asking me what Hack #4 is, and those people will just have to wait and see how right they are (or aren't). Until then, that's pretty much it. Don't read this spoiler if you haven't read MarioFanatic64's spoiler above. Calling it: it's a remake of Super Mario Land 1 and 2. 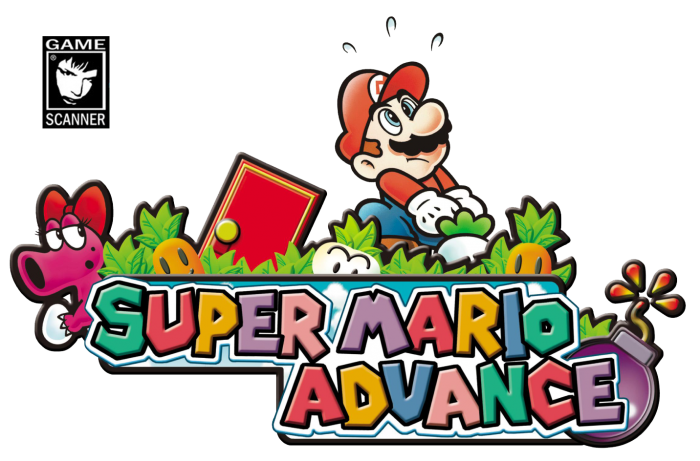 New Super Mario Advance? If it's this, then this means that you started devloppment long ago. Not really. I can´t see similarities. Those are my personal interpretations. New Super Mario Land 2 ? That's what I got from the silhouette, I love puzzle as much as the next guy but yeah I think my puzzle solving skills have dwindled with time, did they ? I read the logo for the fifth hack as Super Mario : Endless Earth, that doesn't tell me much lol. So trying to hide hacks' names to the community for a bigger time failed. But the hacks sounds interesting, judging by your style and the hacks' names. Your "Hack_#4" will probably be the full hack n°10, because you already made 4 worlds. N°10... I missed it. I had gone to to the page on Dafont for Super Mario 256 (the font almost everyone uses for their Mario styled logos) and I compared similarities to the list of letters there were on Dafont. Second letter of that unknown word looked similar to U in the letter list, third letter looked like L and last two looked like S....although I'm not getting anywhere yet. Maybe something like Super Mario: Skull Earth? I'm COMPLETELY wrong, though. COMPLETELY. It's obvious. It's really fudging obvious. What I will say is that Super Mario: Endless Earth is in fact the title of Hack #5, but there's nothing in that name that's going to give away anything. Admitting that Super Mario: Endless Earth is correct is basically a confirmation itself.